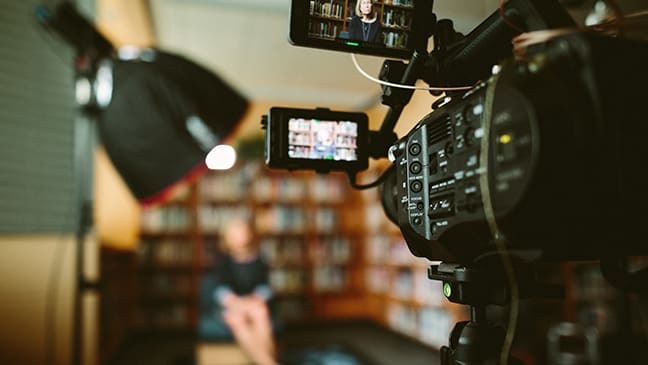 Videos can be a valuable – and easy – component to incorporate into your content marketing strategy, especially if you already have an established social media presence to serve as your distribution channel. A variety of marketing and technology trends have finally converged to make this the ideal time for your business or organization to get into video. Production values are important for maintaining a professional image, but there are already plenty of how-to guides online that explore the finer points of cameras, microphones and editing software. Instead, we would like to take this opportunity to discuss some of the reasons why video marketing is so effective and what your customers are expecting from it. Video is inherently a storytelling format. When it is combined with the engaging power and reach of social media, the resulting blend is extremely potent. On top of that, from Marcus Lemonis on “The Profit” to QVC’s “Today’s Special Value®” – the current trend in branding is story, story, story. Increasingly, customers want to know why companies do what they do. It’s not that they aren’t interested in the what and the how much of your company, but branding has developed to the point where sophisticated consumers take for granted that this information will be provided. This heightened interest in your story can be a crucial market differentiator as well as a way to step into brand advocacy – encouraging consumers to “vote with their wallets” – if that is a direction your company or organization wants to move in. Video is easier than ever now. So easy, in fact, that there’s really no excuse for not including it. Most people own at least one device with video capability and belong to at least one social network that makes it easy to upload videos or animations on the fly. It is not uncommon for people to have profile videos instead of profile pictures. Conversations are carried out in comment threads entirely with clips of shows and animated gifs. On social media, traditional static content is, well, lost in the static; dynamic video content cuts through. It is an accepted truth that internet users scan rather than read content, but social media ups the stakes by constantly refreshing screen with a never-ending stream of new information. Even after a single night’s sleep, we wake up to more Facebook and Twitter posts than we can possibly read over our morning coffee because the new day’s posts are already pouring in. We don’t have time for every text update and even the most filtered pictures blur as they whip past unappreciated – unless they move. Like the T-Rex scene in Jurassic Park: If the content doesn’t move, we can’t see it. The magic of live video on social media is that it combines the narrative power of film with the urgency of a special news bulletin plus the unpredictability that accompanies any live event – all with the intimacy and engagement power of a private Skype conversation. Going live breaks through the content blur of regularly scheduled programming. Of course, regularly scheduled programming doesn’t really exist anymore in our a la carte media environment, but going “live” is still one of the best ways to disrupt a user’s distraction-filled social media session. In its current iteration, Facebook Live even alerts your friend whenever you go live to boost your potential audience and extend your reach even further. Live video also helps to fulfill the internet’s promise of information from anywhere at any time by putting the viewer where the action is. From a user experience perspective, social media got auto-play right. When a video is centered on the screen, it automatically begins – silently without affecting the other content on the screen. By doing so, it removes the decision process of whether or not to start a video, which is a bigger hurdle than many content producers realize. The viewer is already watching in media res. Now they have to decide whether or not to keep watching, which is a very different thought process. One that can only be made by watching more of the video. And because social media starts the video muted by default, many companies have adapted by captioning their videos, which is a way to increase engagement. Auto-playing videos were one of the worst things to ever happen to the internet. On traditional websites, auto-playing videos load as pop-ups that conceal the content we want and slow the page-load speed to a crawl. Others hide as ads at the bottom of pages or side-bars, blaring irrelevant audio from an unseen position, causing the viewer to frantically hunt them down. If they don’t find the source of within a few seconds they close the window completely. This certainly wasn’t the customer interaction you’re looking for. However, on social media auto-play has become an effective engagement tool. There are many reasons to incorporate video into your social media marketing efforts that range from unveiling your own version of Apple’s “1984” to making a direct connection with your customers by going live, but the truth is that video and social media have become so commonplace that there is no longer any excuse to not do it. Quality video content? Now, that’s another story altogether – one that might be best left to professionals.